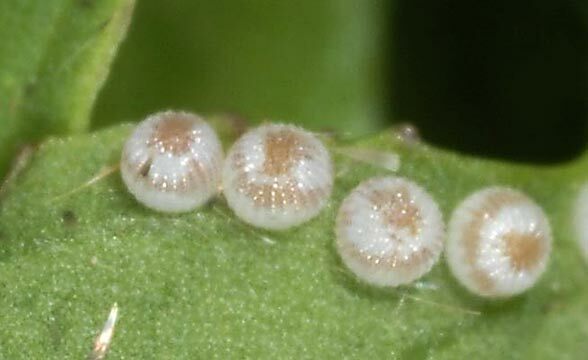 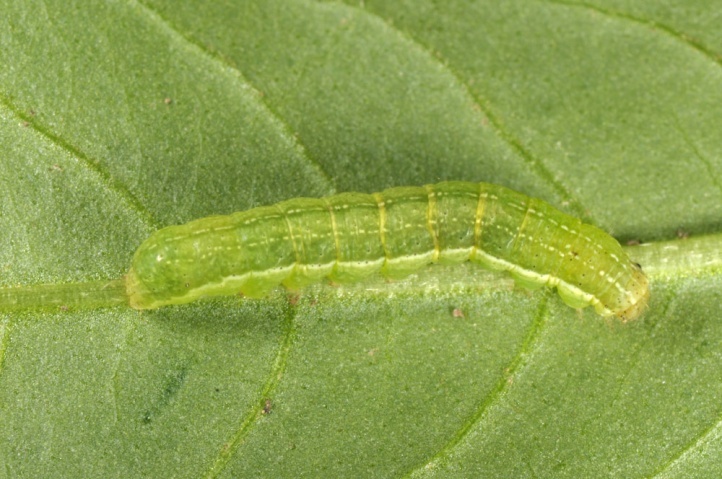 The caterpillars live very polyphagous in the herb layer. 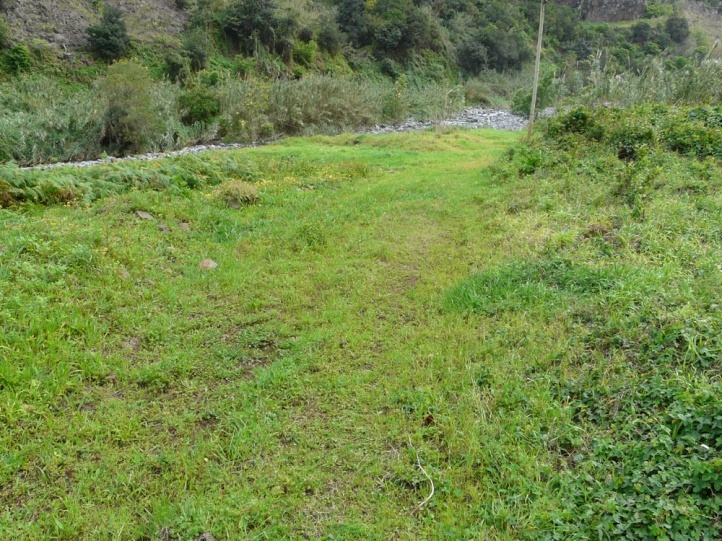 I observed them for example on Hippocrepis comosa, Polygonum, Chenopodium, various Asteraceae (Leontodon, Taraxacum, Crepis, etc.) 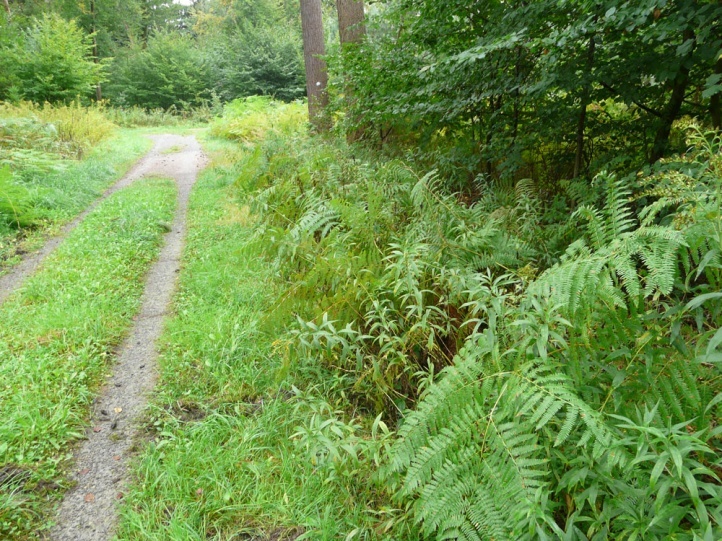 and even bracken (Pteridium aquilinum). 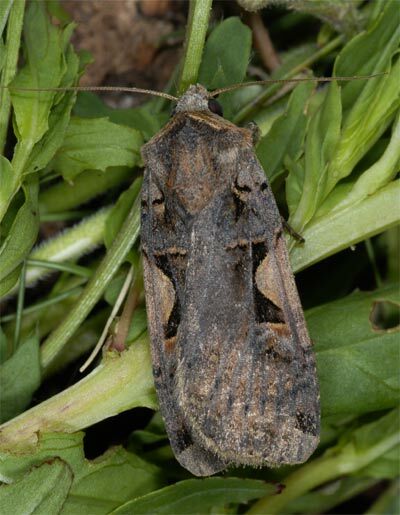 Xestia c-nigrum is an ubiquist that occurs particularly abundant in open areas such as on extensive meadows, ruderal terrain or nutrient-poor grasslands, but also in woodland fringes. 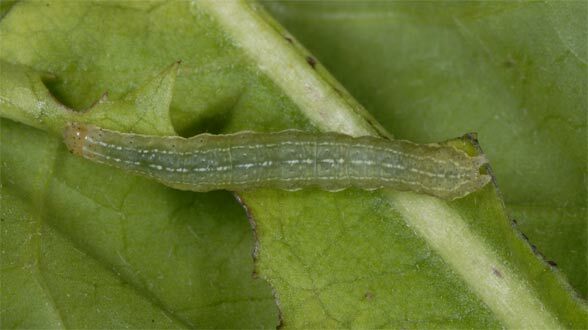 The caterpillars are often found at places with partly open soil such as embankments, escarpments, rocky slopes, but are not dependent on it. 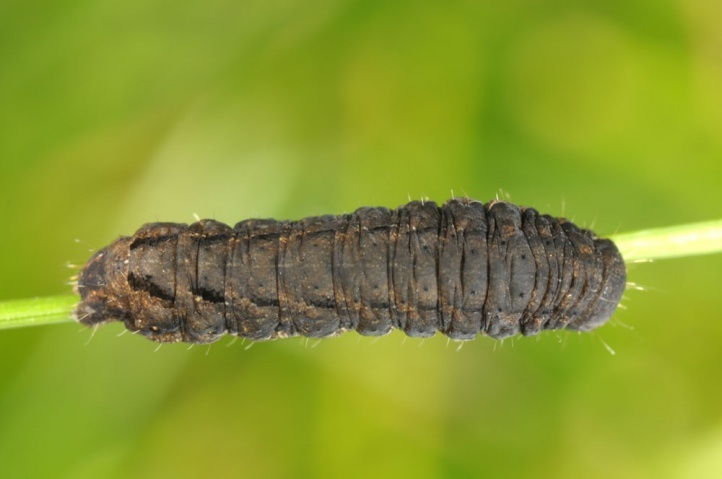 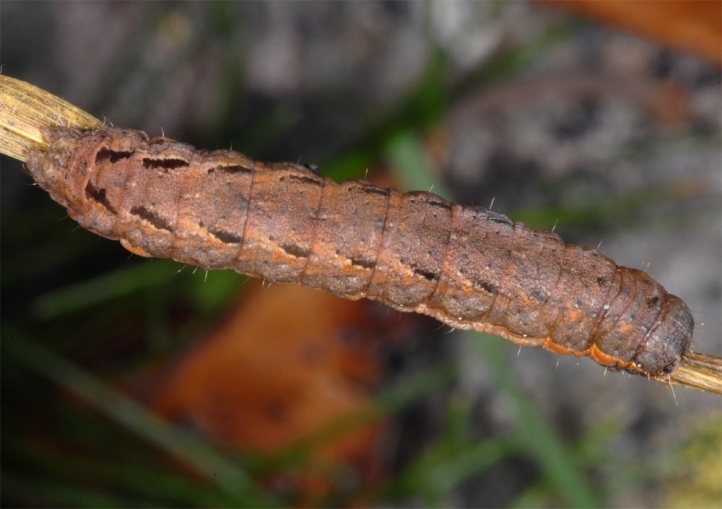 I found caterpillars in the other extreme of the biotope amplitude in the inner areas of shady forests (Polygonum in the central strip of forest roads) and bracken corridors. 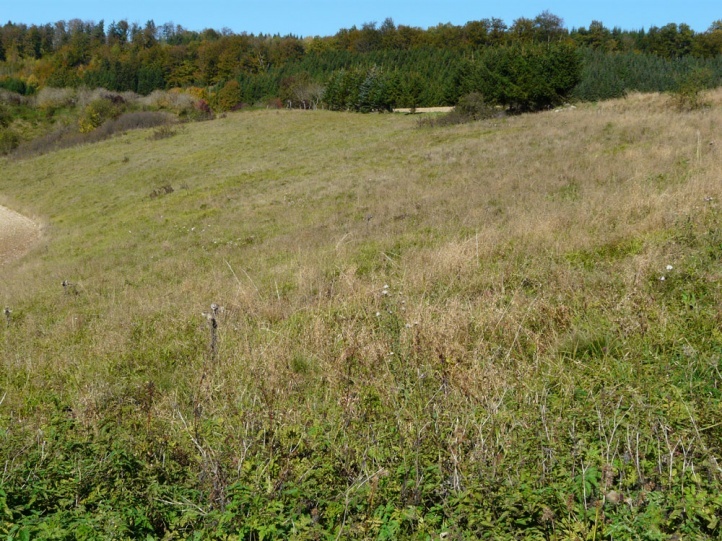 Xestia c-nigrum penetrates into the interior of forests (shaded herbal edges) especially in warm climates such as the Upper Rhine Valley (own caterpillar observations near Phillipsburg, Dettenheim and Hügelsheim 2012), whereas Xestia c-nigrum occurs on the Swabian Alb in the forest only on sunny, large clearings and abundances are much higher in open areas. 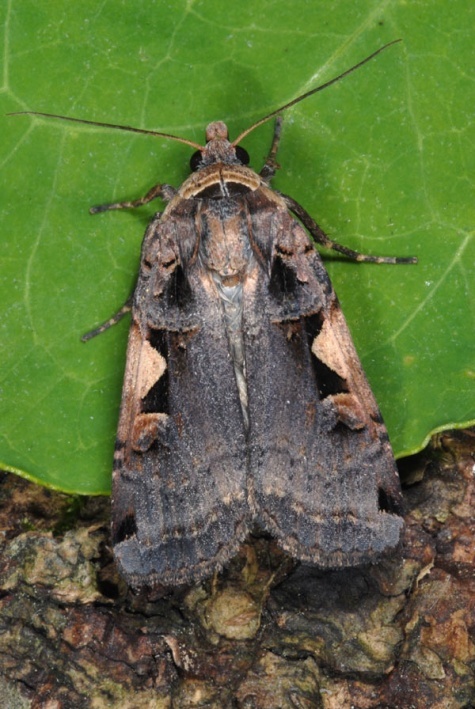 Xestia c-nigrum flies in two or more generations per year. 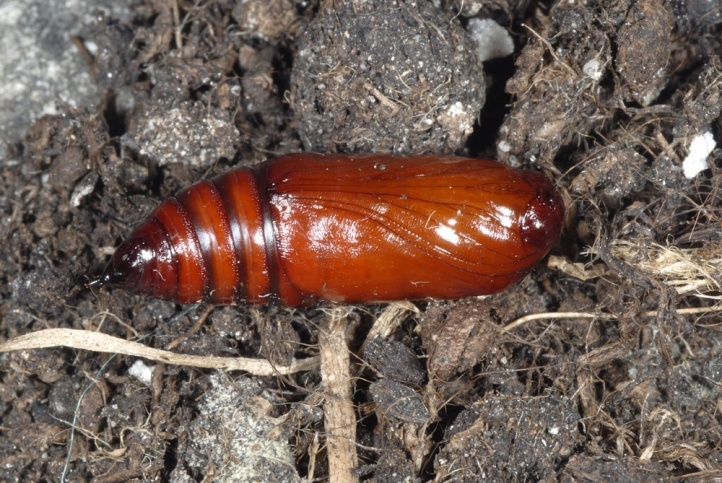 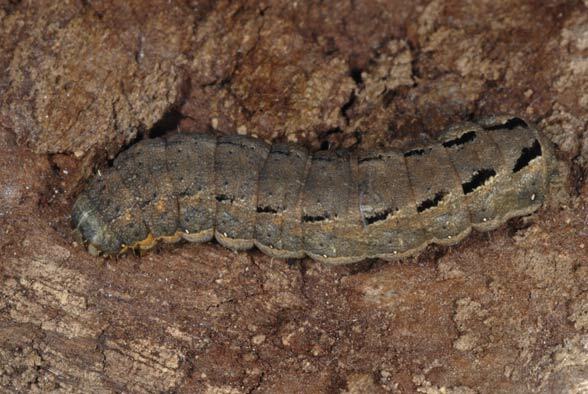 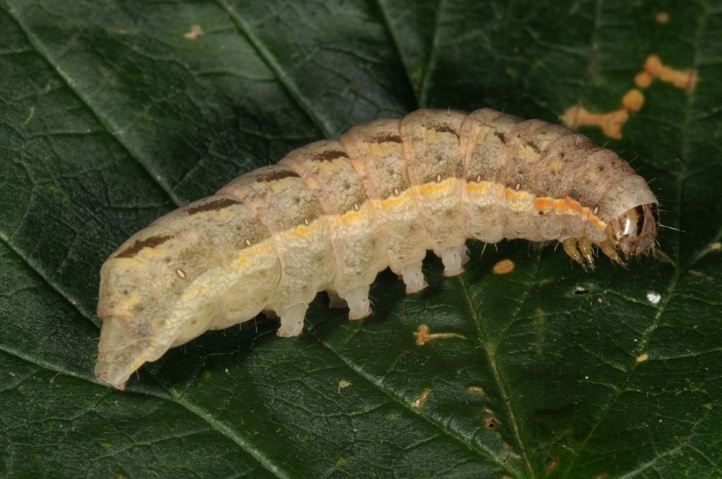 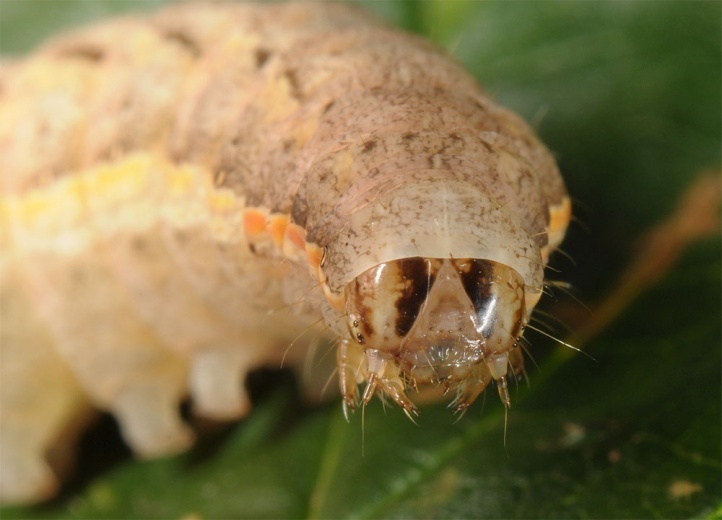 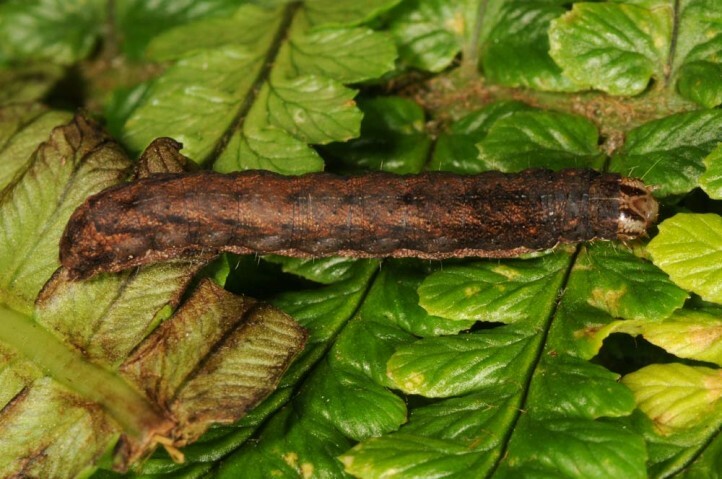 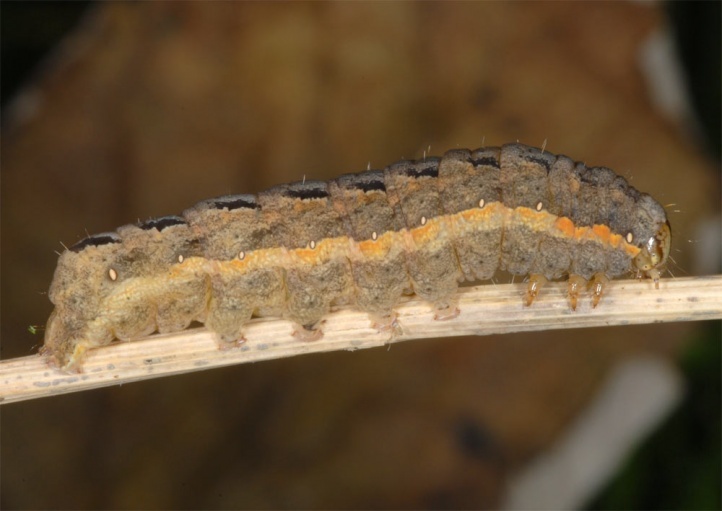 The caterpillar overwinters half-grown and the adult moths are found from May to September. 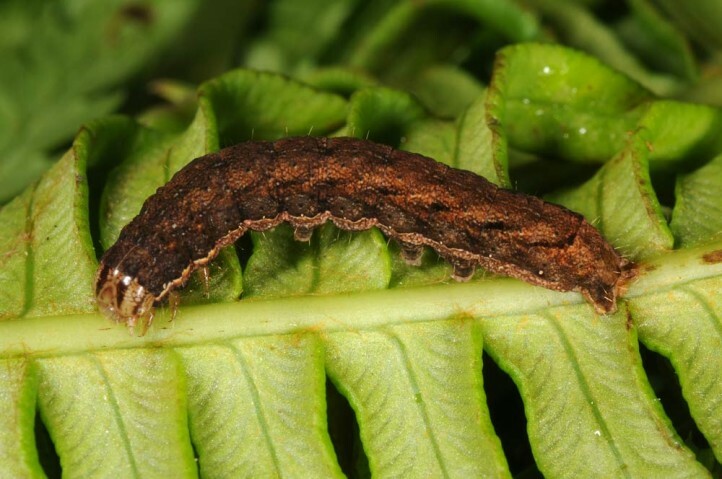 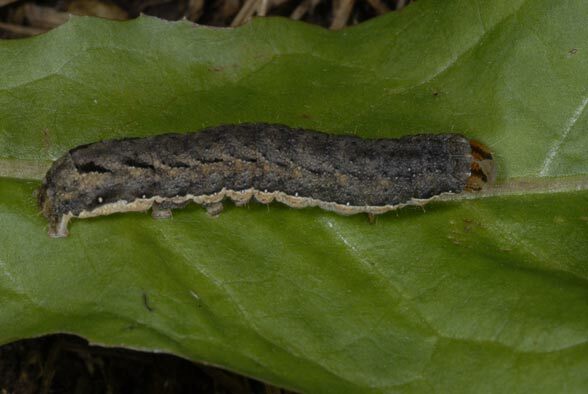 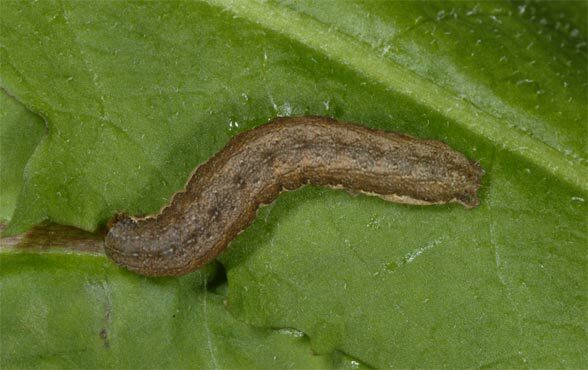 In the spring I found half-grown caterpillars between mid and late February, mature ones from late February to April, concealed under dead leaves or moss on the ground during the day. 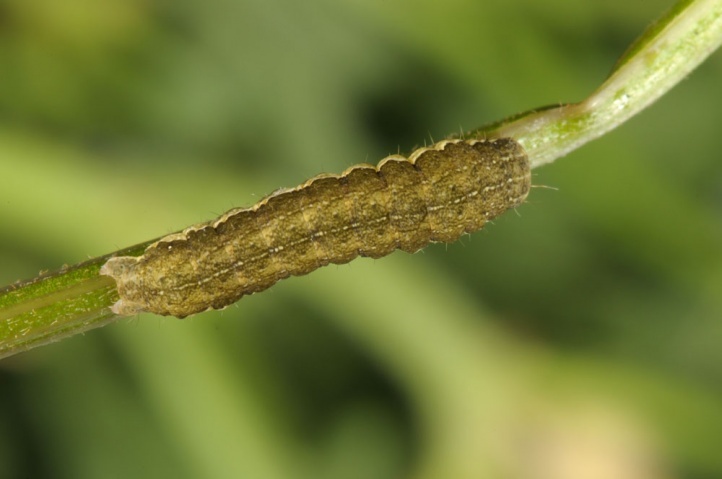 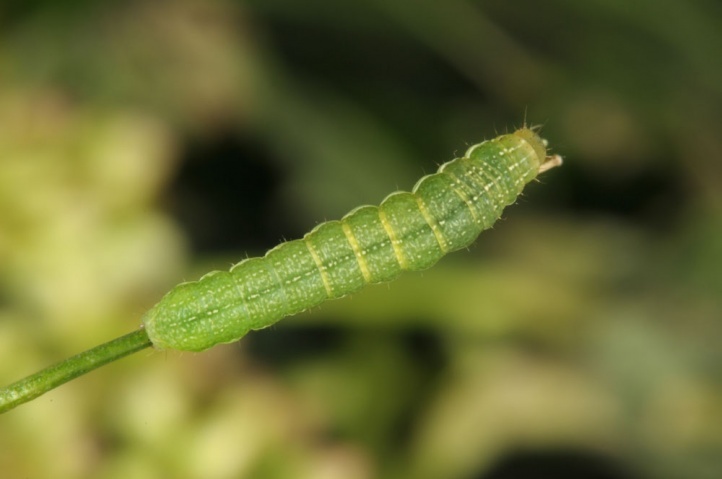 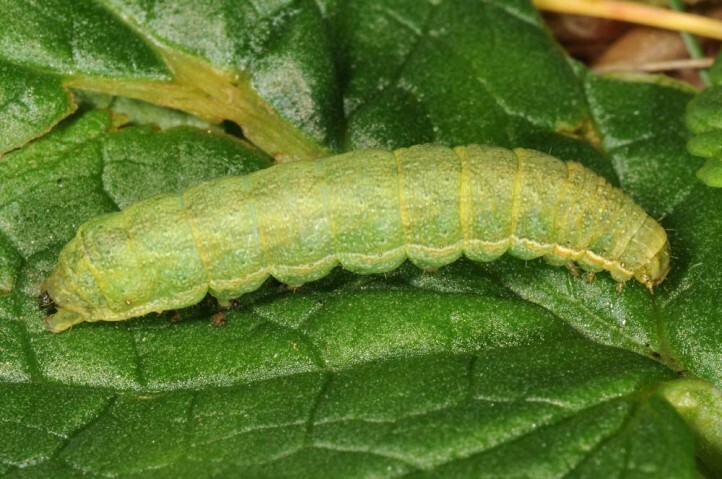 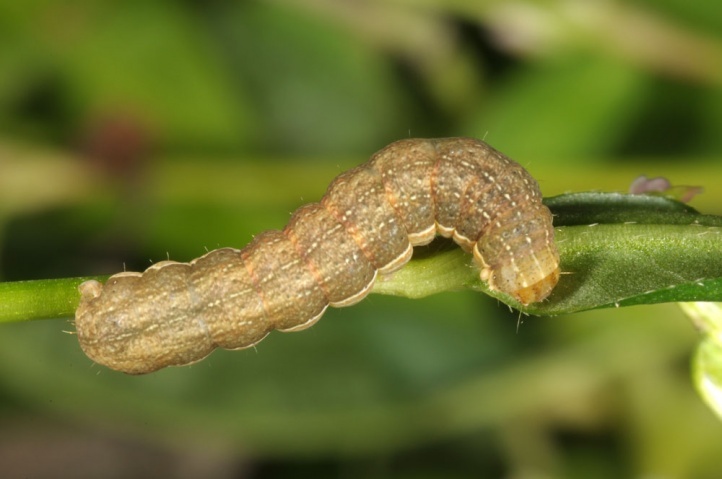 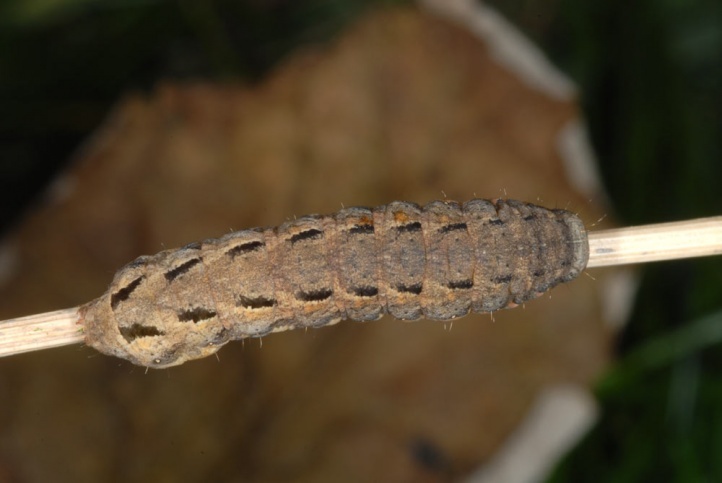 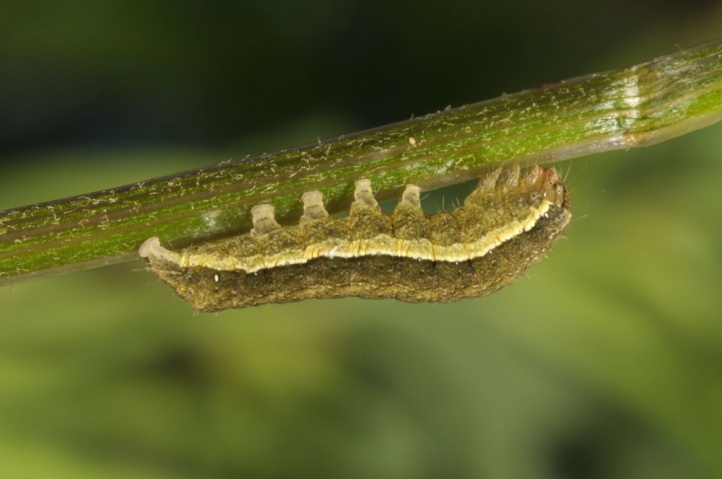 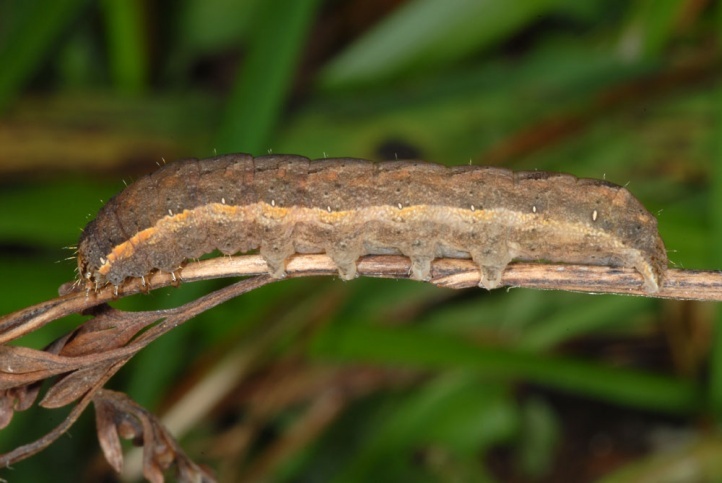 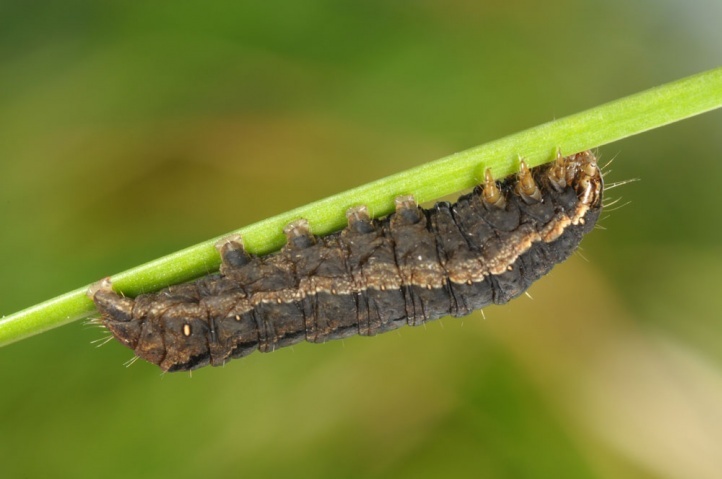 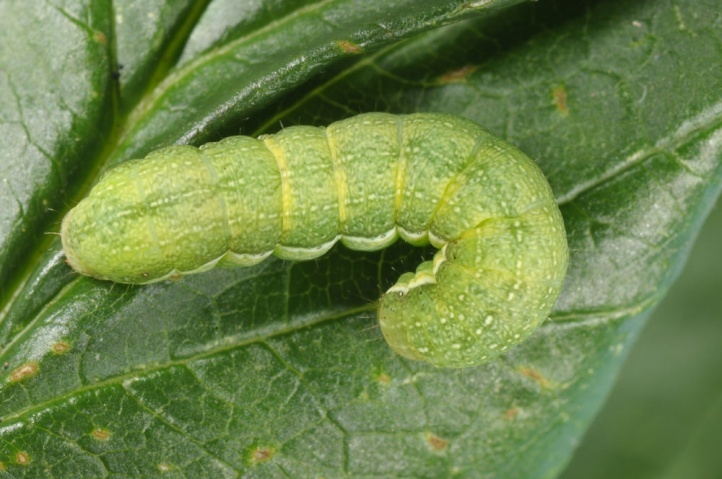 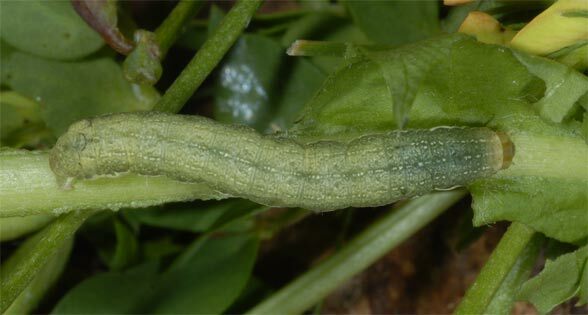 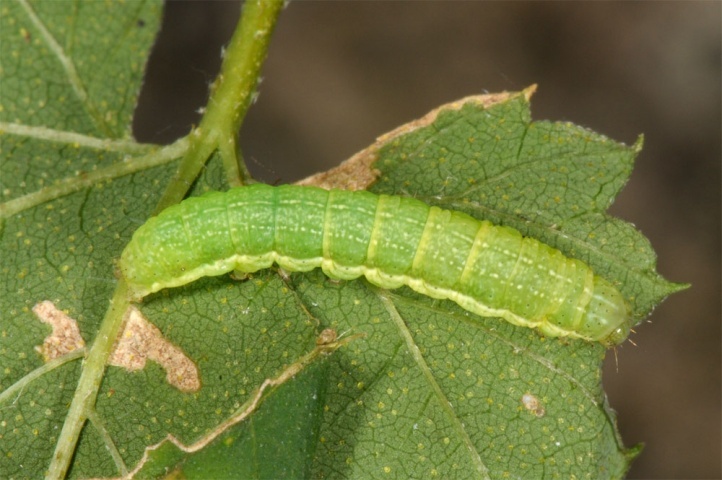 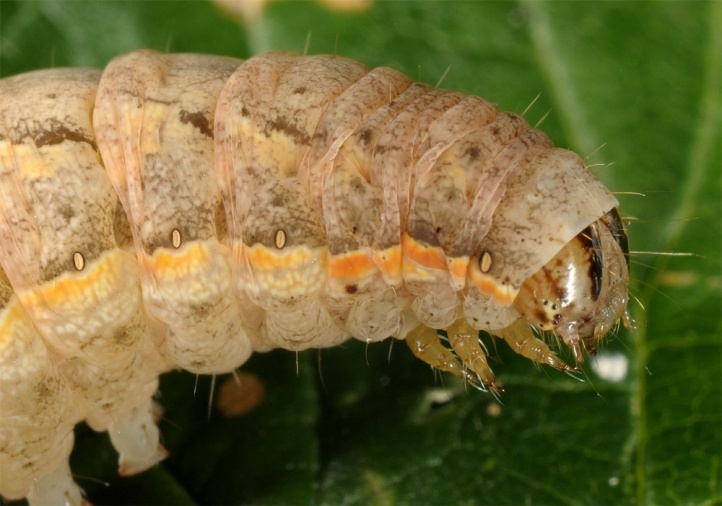 The young caterpillars, which are then overwintering, live in autumn still in the higher vegetation even during the day and can be beaten from the herbal vegetation between late August and November. 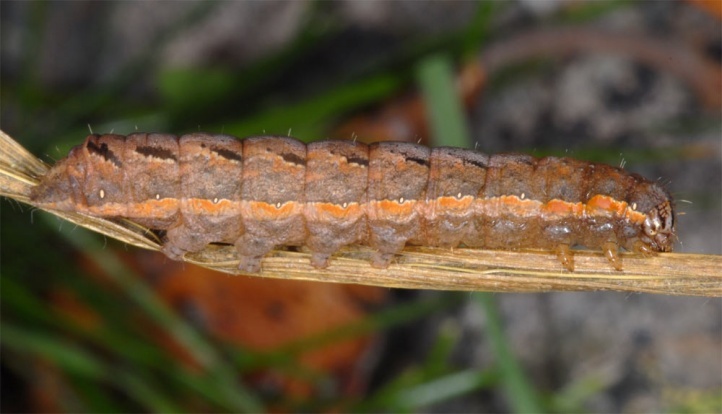 The caterpillars are observed more rarely in summer, probably because of methodical deficits (beating is more often performed in the autumn). 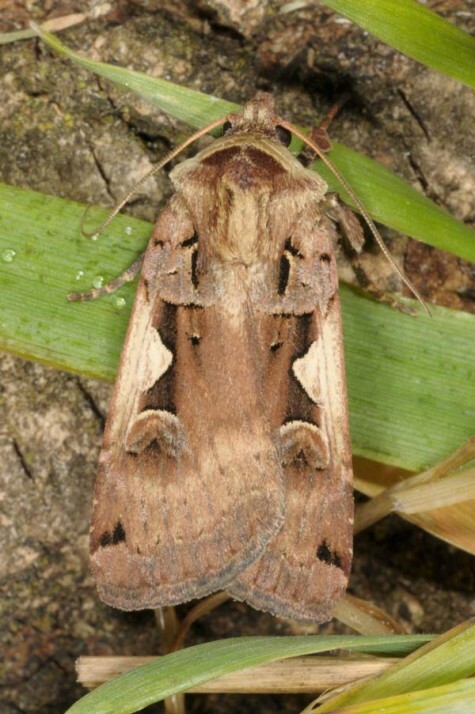 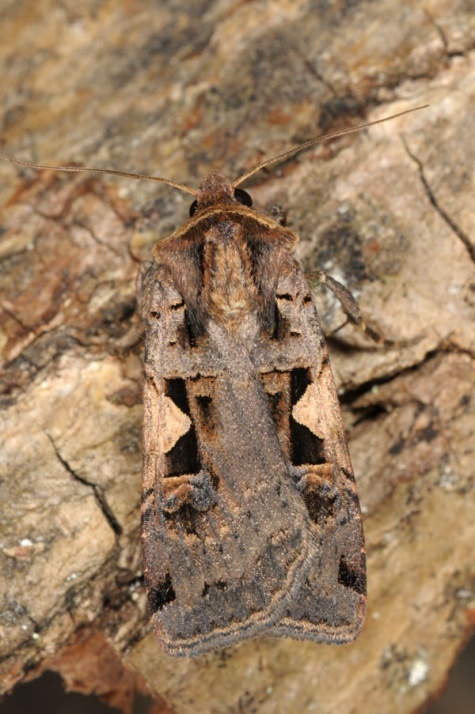 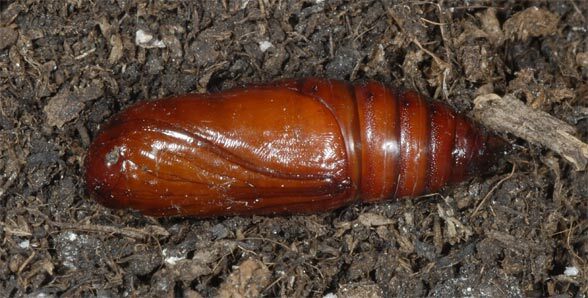 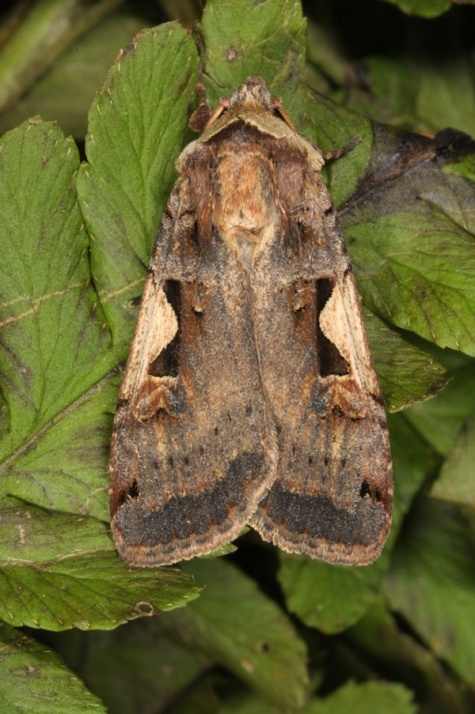 Xestia c-nigrum is one of the most common Noctuidae. 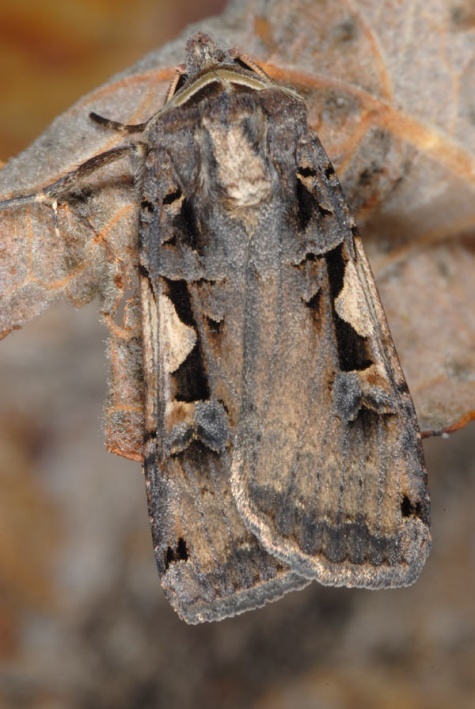 The distribution is Holarctic (North Africa, Europe, Asia and North America).